Dave Farrar predicts Sporting KC will challenge for the MLS Cup, while Houston and Minnesota can make the most of poor opposition form. 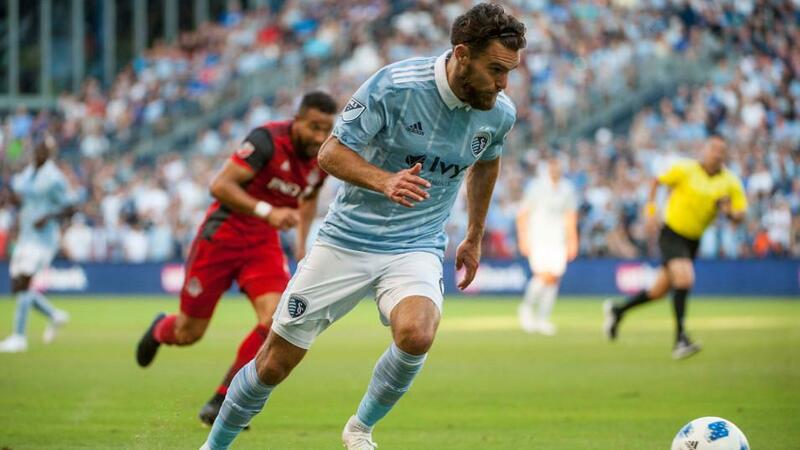 Sporting KC did the business for us last week at a poor San Jose team, and with the wind in their sails and confidence high, I think that they can do something similar against a Philadelphia Union team who will surely be distracted by that US Open Cup Final. You might read these opening two previews and feel that I'm trying to have the best of both worlds, supporting one team that is in the Cup Final and opposing the other BECAUSE they're in it. I think that it's a valid approach, though. Houston are up against a poor Orlando side, while the Union host an in-form Sporting KC. Peter Vermes' team have moved to the top of the West after six wins in their last seven, and Philadelphia lost their most recent home game 4-1 against Montreal. The Union are traditionally strong at home, but that defeat suggests that they're slipping, and their midweek trip to Seattle will further weaken them. The longer the season continues, the more I'm convinced that Sporting KC have a big chance of going all the way to MLS Cup, and I don't see their excellent run ending at Talen Energy Stadium this weekend. After failing to win in ten MLS games, the Houston Dynamo bounced dramatically back to form last weekend against Portland, winning 4-1. That signals a timely return to success ahead of their US Open Cup Final later in the week, and while that game is a potential distraction on the horizon, I still think they're a good bet to win at Orlando. Orlando have won once in MLS since May 6, and have lost seven of their last nine. They look to have thrown the towel in for this season, and with James O'Connor working hard to try and improve them, that's a real disappointment. To lose 4-0 against a dreadful Chicago Fire team last time is just embarrassing, and O'Connor will want a response here, but I'm not so sure that he'll get it. Houston are a good team to watch and it was fun to see them play well again last week: Alberth Elis and Mauro Manotas were both outstanding, and goals certainly won't be their issue. Their problems have come at the other end of the field, with no clean sheet since July 14, and Wilmer Cabrera would love his team's final pre Cup Final game to feature a resounding win, and a clean sheet. Because of their Cup Final involvement, they're a little bigger for the win here than they normally would be, and even though there's a chance that Cabrera will rest players, I still think that the Dynamo look a bit of value for this. Minnesota produced their best performance in some time last weekend as they drew 1-1 at RSL, having a late goal disallowed after an excellent second half performance which nearly brought them an unlikely win. That game was Minnesota's fifth consecutive away from home, and given that they're a team which tends to thrive on home soil, they'll be thrilled to be back at base. They face a Portland Timbers side who could do no wrong in the middle part of the season but who are now clinging onto a top six place after a real slump. They were poor at Houston last weekend, and Giovanni Savarese will need to galvanise them for the closing weeks of the campaign to make sure that they don't miss out on the post season. Minnesota now have a forward line which can hurt teams, though, led by Darwin Quintero, who is ably supported by Miguel and Romario Ibarra, and given that their return home will give them a big boost, and given that the Timbers look tired to me, I'll take the Loons to grab the win which might further derail Portland's post season hopes.